We offer Free Private Proxy to all Paid Users. Upgrade for as low as $5/Month to claim yours! Due to the fact that our servers are located in Canada and the USA, users from outside of these regions are likely to face a re-login issue (except in some rare exception). 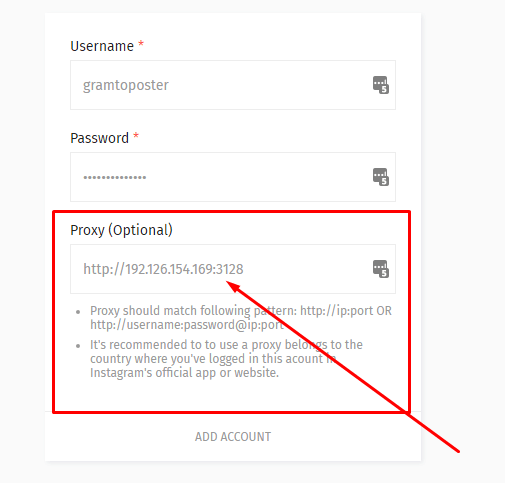 The quick fix to this is getting a private proxy for your account, and enter the proxy in the proxy field while adding your account to Gramto. You can get your special Instagram proxy for free by upgrading to any of our paid plans. We have made available proxies from over 60 Countries to have this resolved. All you need to do is fill this form to request for your own private proxy. 1. Remove the Instagram account from Gramto (If already added). 2. 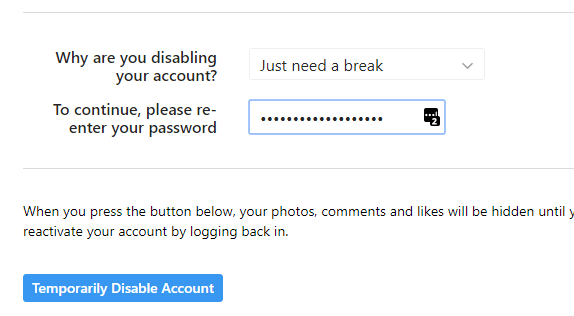 Enter Instagram Username, Password and the Private proxy we sent to your email. 3. 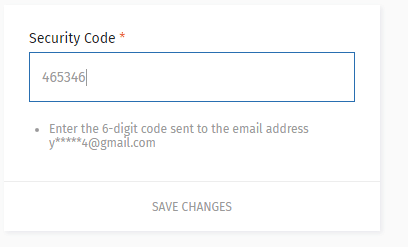 Enter the Code sent to you via Email/Phone and hit the Save Changes button. And you have successfully fixed the re-login required loop issue. Read more about the importance of Proxy. In some rare cases, If the method 1 above doesn’t work or you’re a free user without a Proxy. You can use the method 2 below which has 90% success rate. This method requires you to temporarily disable your Instagram account, wait for some hours and then add it to Gramto before you log in to any other device. 7. After the waiting period. Now open your Gramto account and add your Instagram Account. And it’ll be activated automatically. Note: Do NOT login to Instagram on any device (Mobile or PC) during the waiting period, you should only use other devices after you have successfully added your account to Gramto. 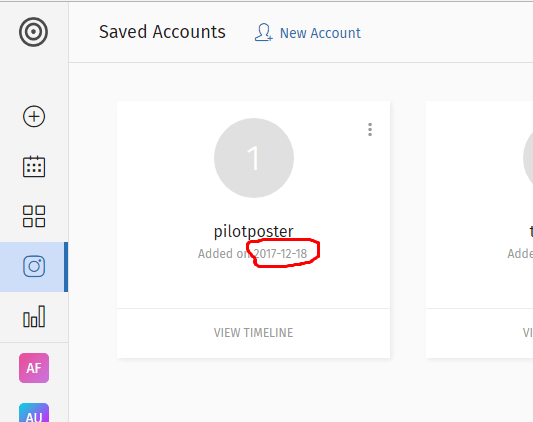 Kindly remove the account and try adding after some hours (3-6).